Ohno uses the example of a scissors to make this distinction. The work of manufacturing engineering is to think of how to use a scissors to cut things effectively, while it is the work of production engineering to recommend the right type of scissors for the cutting to be done. In some cases production engineering will research and develop the appropriate scissors. Without manufacturing engineering however, the scissors could not be put to proper use. The literal translation of the title of this chapter (see above) could also be The Difference Between Industrial Engineering and Manufacturing Engineering. Production Engineering　（生産技術） in Japanese is also translated as Industrial Engineering, which the Japanese (including Taiichi Ohno) sometimes refer to as simply “IE”. But I think there is more to Production Engineering than Industrial Engineering as we know it, so I will leave the title as you see it above. The word gijutsu （技術）can be translated as “engineering” or “technology” or “technique” in some cases. So the title could also be The Difference Between Production Technology and Manufacturing Technology, but in the English “technology” tends to imply the hardware and software rather than the thinking process to get you there, as “engineering” does. This is an important distinction and we need to spend a few moments understanding the nuances here. 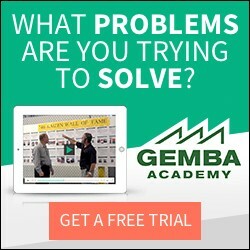 When I first began interpreting with the Shingijutsu consultants 13 years ago, one of the most common questions by these former disciples of Taiichi Ohno and members of the Toyota Autonomous Study Group, after touring the gemba of an American company, was “Where are your Production Engineers?” They saw very little evidence of Production Engineering at these companies. They were not talking about the machines and processes, but the thinking that led to them. This is true in many U.S. manufacturers even today. Because they were not asking for the IEs (Industrial Engineers) and because I wanted to stay true to the nuance of the sensei’s question, I would ask for the production engineers, and we would most be introduced to the manufacturing engineers. In some cases we would meet product engineers, industrial engineers, process engineers, but never production engineers. The Shingijutsu sensei would shake their head and bemoan the lack of production engineering (industrial engineering, equipment design and process design). I have yet to meet a production engineer outside of Japan. I am sure they exist. Holler if you are one. Just as computers have hardware and software, Ohno explains that they have been thinking seriously for many years about the differences between production engineering and manufacturing engineering. Taiichi Ohno relates a story from one of his trips to the U.S. in the 1950s when a plant engineer with the title of “General Plant Engineer” took him on a factory tour. Ohno was impressed by how this person knew what was happening in the gemba, and how easily he communicated with the foremen. Ohno says that he would like to think of the manufacturing engineers at Toyota as plant engineers (with some implication that they are not) and warns against the separation of production engineering from the gemba (factory). The production engineer must be close to the gemba and understand the process and develop the tools and equipment needed. Ohno tells of how he was disliked by the production engineers at the Toyota Motor Corporation for calling them “catalog engineers” because they would point to equipment in catalogs and ask to buy them rather than developing their own equipment. “Within a company, production engineering and manufacturing engineering really ought to be a single body.” In calling for the integration of both manufacturing engineering and production engineering, Ohno wants both to be closer to the gemba and focused on kaizen. He says that the ideal state is when material selection, equipment design, process design, process improvement, equipment kaizen can all be the work of manufacturing (gemba) engineering.